MedCenter TMJ has implemented ultrasound therapy as an adjunct modality for the treatment of pain in the head and neck. 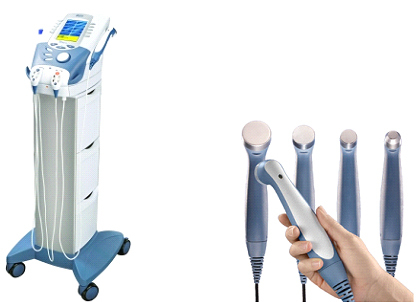 Ultrasound therapy uses very high frequency sound waves to stimulate the tissue beneath the skin’s surface. The energy is primarily absorbed by connective tissue such as ligaments, tendons, and fascia. This tissue can be treated in the jaw, neck, and shoulder area for relief of pain associated with temporomandibular disorders.